2. Add the garlic cloves and saute well. 3. Add tamarind, dry red chillies and salt. 4. Stir-fry for a minute and remove. 5. Transfer to a mixer jar and grind well. 6. Add 1 tblsp of oil and fry the mustard seeds, urad dal and curry leaves. 7. Add this to the chutney and mix. 8. Serve hot with idli, dosa or curd rice. 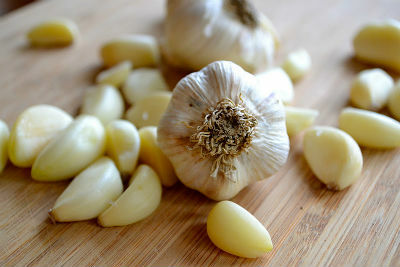 Feel free to comment or share your thoughts on this Garlic Chutney Recipe from Awesome Cuisine.